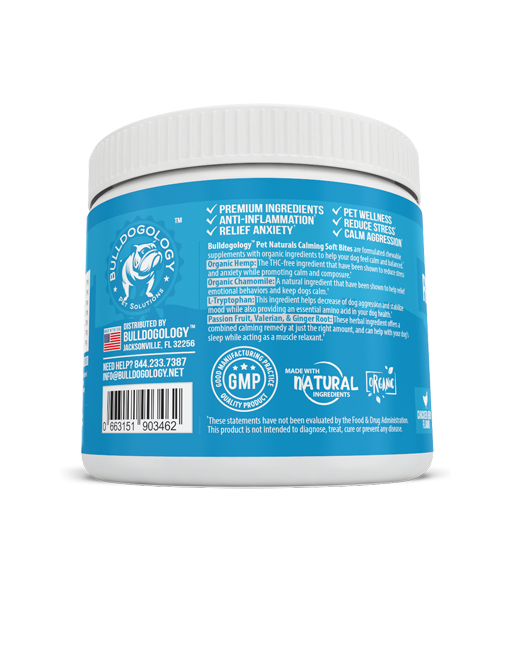 STRESS & ANXIETY RELIEF FORMULA: Inside Bulldogology soft chew is formulated with organic ingredients to help bring your dog emotions to feel more calm and comfortable. 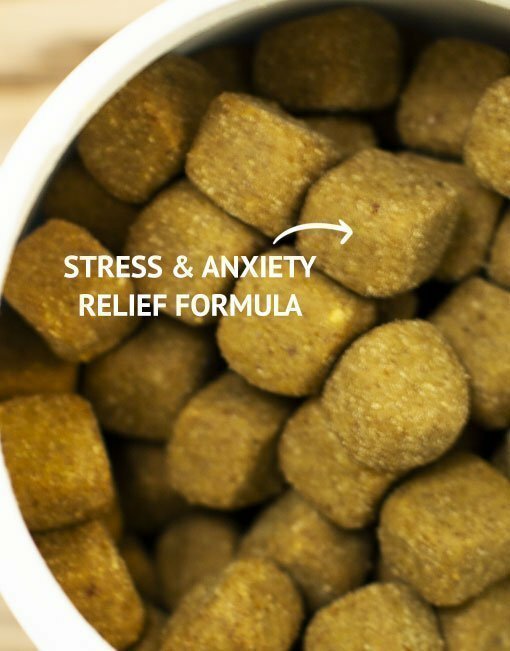 It can be stressful worrying about your anxious dog or worst, a dog with an aggressive temperament, our calm treats support your dog daily balance. 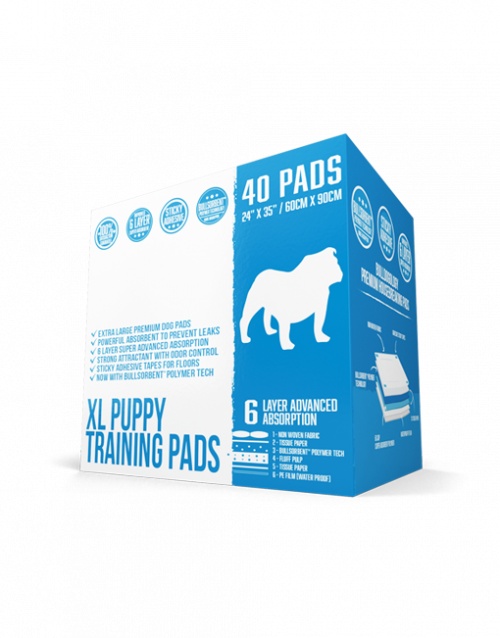 DOG RELAXATION APPROVED: If your dog is hyperactive, has separation anxiety, barks endlessly, or even act uncomfortable while traveling, this soft chew has non-drowsy effects that will support your dog feel relaxed. BALANCE BEHAVIOR SOLUTION: When your dog shows signs of stress or overactive behaviors (barking, growling, jumping, biting, chewing, licking, etc.) 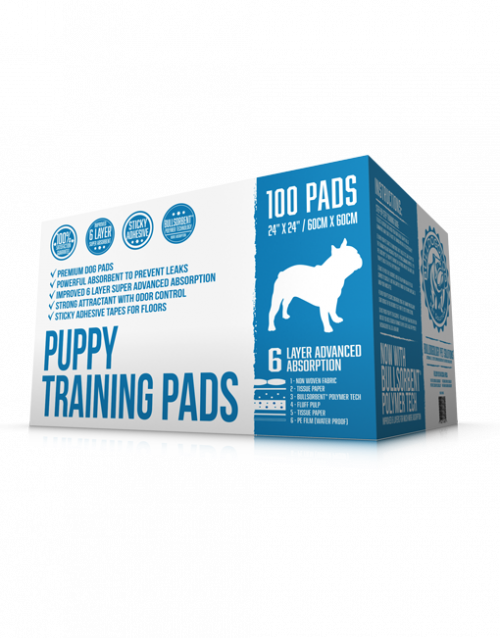 giving your dog this calming supplement can help put balance back to your pup any time. STRESSFUL SITUATION REMEDY: Sometimes your dog will be stressed even when there’s no real danger (running away during thunderstorms, hiding during fireworks, whimpers, shivering, etc.) 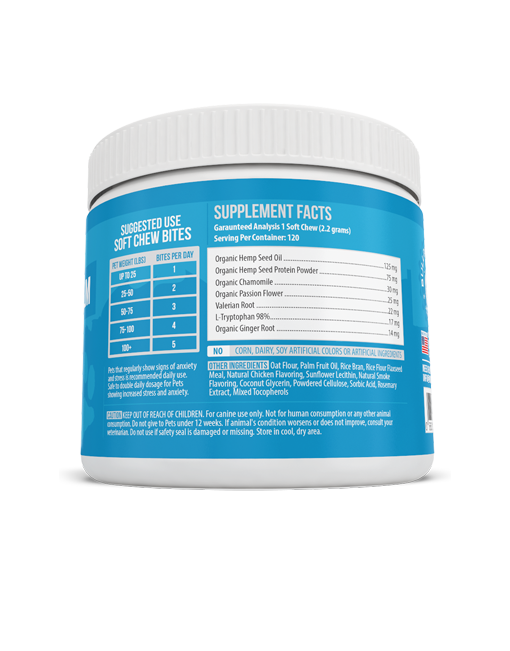 these chewable treats are a perfect help with relieving a stressful situation. 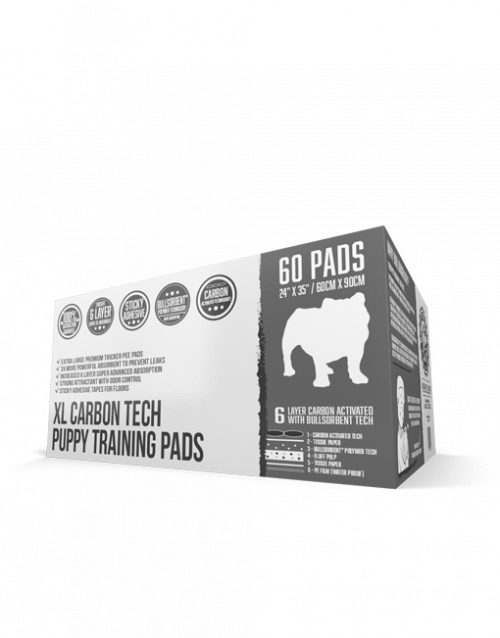 SAFE ORGANIC INGREDIENTS: Combining all natural ingredient with just the right amount including Hemp Oil, Chamomile, Passion Flower, Valerian, L-Tryptophan, and Ginger Root makes each soft chew perfect to reduce stress & anxiety for your dog. 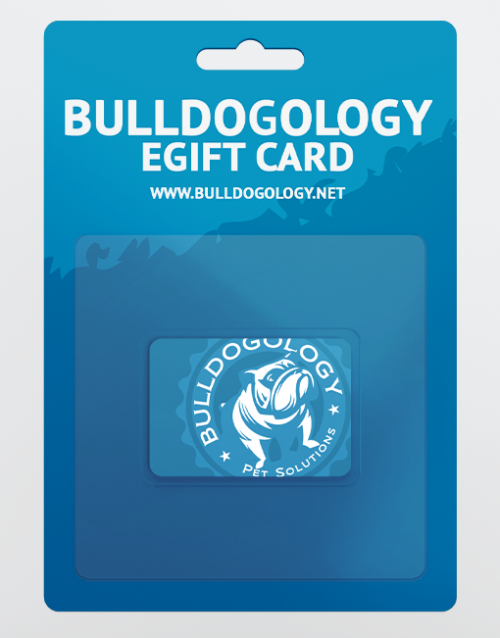 Easily unlock 10% savings by subscribing. 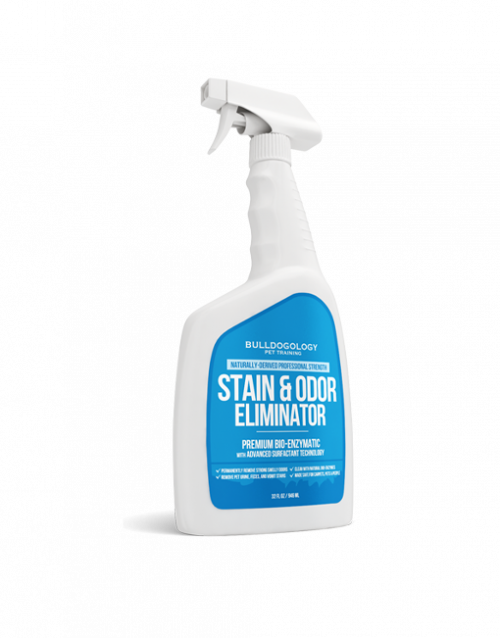 Get this product sent to you every 2-weeks or monthly. Sometimes your dog can’t help to overcome situations when unnecessary behaviors occur. It even feels overwhelming when you can’t help knowing your pup has to go through these problems. 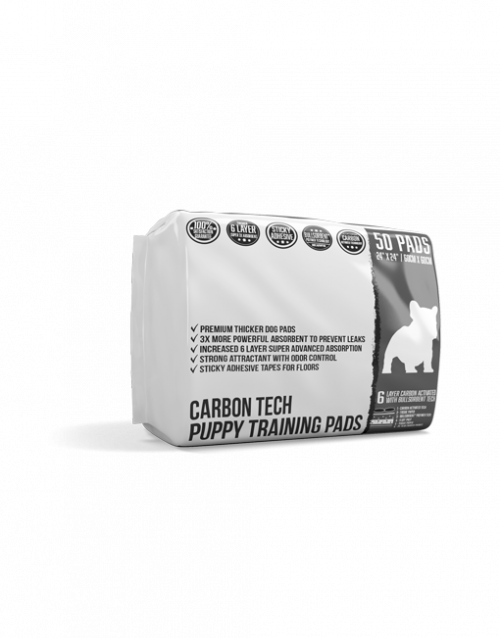 While it helps to comfort your dog during stressful situations, giving your pup a calming soft chew can promote your dog to be happy and calm every time. Stress & Anxiety formula, that balances your dog emotions to be calm and happy. Tasty Chicken Jerky flavor your dog loves, while providing all benefits for any stressful behaviors. 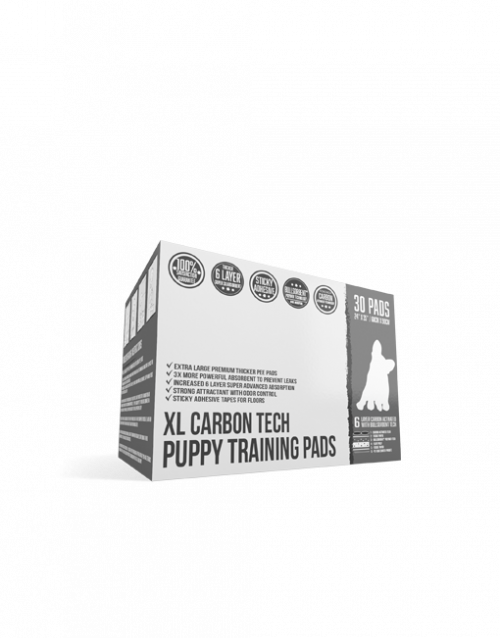 Perfect for anxious dogs, hyperactive dogs, or aggressive dogs that need to help them feel safe and relaxed. Does your dog suffer from random stressful situations? All these situations can be easily helped for your best friend. 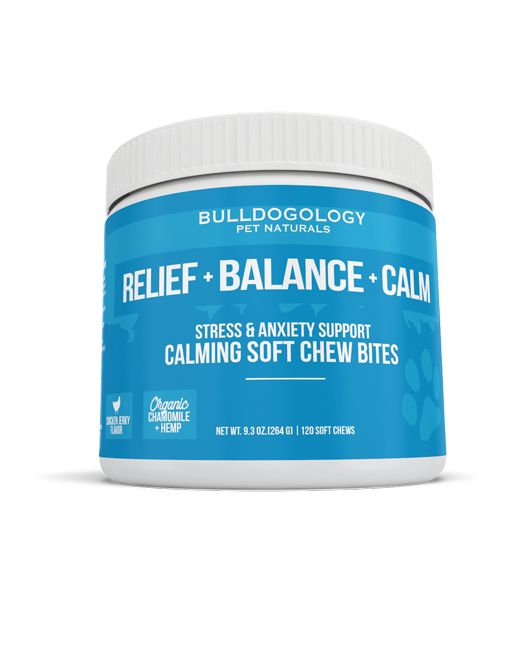 Bulldogology Calming Soft Chews are made with all natural organic ingredients to help your dog feel calm and happy. 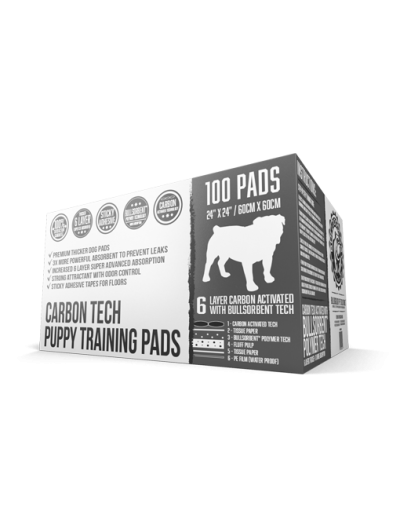 Without any drowsiness or “doggy therapy”, this is a great dog supplement to help aid your dog stress and anxiety. 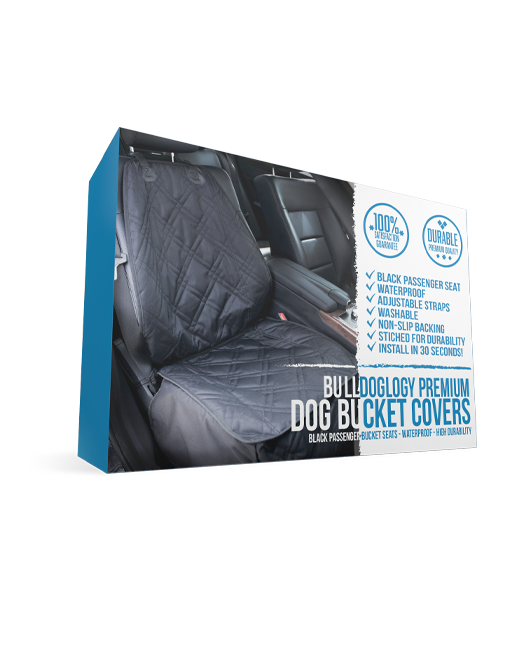 We offer a full Moneyback Guarantee if you’re not completely satisfied with our calming soft chew, let us know and we’ll send your money back instantly, that’s what you call Hassle Free Return. Contact us at [email protected] for more information.